The Royal Government of Bhutan and Government of United Arab Emirates have signed the Air Services Agreement (ASA) on 29th November 2018 in Dubai. 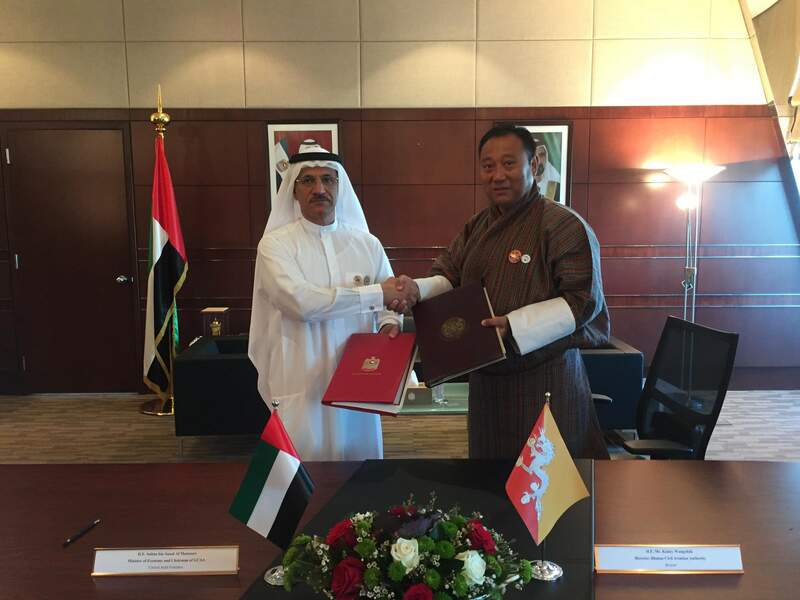 Mr. Kinley Wangchuk, Director, Bhutan Civil Aviation Authority (BCAA), an authorized signatory on behalf of Royal Government of Bhutan and His Excellency Sultan Bin Saeed Al Mansoori , Minister of Economy and Chairman of the GCAA, United Arab Emirates signed the Air Services Agreement. The United Arab Emirates is the 8th country with which Bhutan has signed Air Services Agreement.